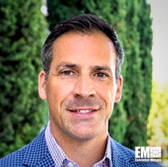 Darron Makrokanis, formerly vice president of federal sales and field operations at Druva, has joined Mesosphere as VP of the cloud technology firm’s public sector business. Mesosphere said Thursday Makrokanis will oversee its go-to-market strategy for government accounts and maintain a holistic approach to help government clients address mission-critical requirements. At Druva, he helped expand the data management software vendor’s customer base in the public sector and secure the placement of its products on the government’s approved products list. Makrokanis previously held positions at Tenable‘s federal group, Booz Allen Hamilton and Splunk‘s public sector unit. He also held a more than 10-year law enforcement career and served as a U.S. Navy Reserve officer. Mesosphere also hired Joe Nestor, most recently director of strategic partnership sales at Druva, as senior director of public sector alliances and partner sales.